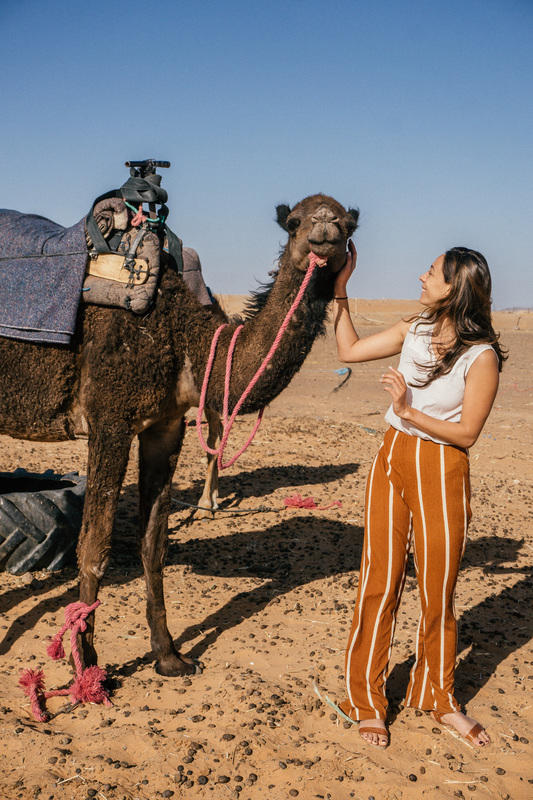 So you’ve bought your ticket to your Morocco, you’ve scrolled through thousands of wanderlust inspiring photos.. the next thing you are probably wondering is what to pack for Morocco? One thing to know about me is that although I am guilty of overpacking, I am a carry-on only girl. This means that it is important to be highly strategic with what’s going in your bag! 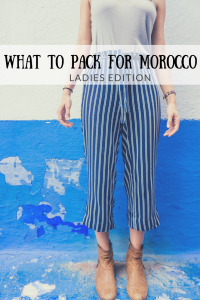 Lucky for you, I’ve created a comprehensive list of everything that you need to pack for Morocco. 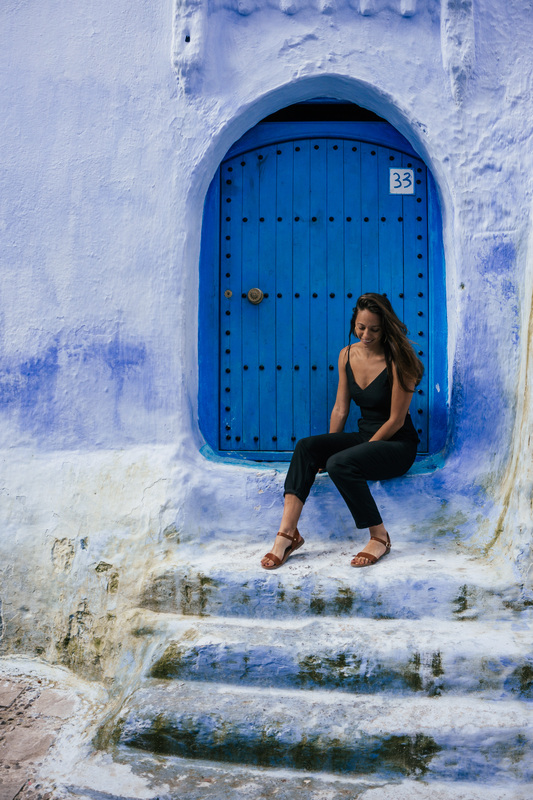 There are two very important factors that play a role in the type of clothing that you are going to be packing for Morocco. Firstly, Morocco is a more conservative country. This means that for the most part jean shorts and a tiny tank top aren’t going to be respectful or appropriate. Secondly, many areas of Morocco experience a desert climate, aka very hot during the day with a huge temperature drop at night. A lot of people have the misconception that Morocco is hot all of the time when this is definitely not the case! When packing tops you should avoid anything too revealing. I found that thicker tank tops (3 fingers thick for reference) were generally okay, however I always carried a sarong or jean jacket to throw over. Having a few cuter t-shirts and long sleeve tops is always a good idea as well! I packed one of my favorite polka tops from Forever 21, which was perfect for the cooler morning temperatures in the desert! SHOP MY BLUE STRIPED PANTS HERE AND MY BROWN STRIPED PANTS HERE! I was all about the dress and jumpsuit vibes while packing for this trip. I love finding pieces that offer good coverage (remember it is a more conservative country), while still being airy and light! I found a lot of these pieces at shops like TJ Maxx and Crossroads, both great options for quality items on a budget. As I mentioned above, Morocco gets cold! And I don’t mean kind of cold, I mean really really cold, especially in the winter months. Since I was visiting in April the weather was definitely on the warmer side, however the evenings got quite cool. Jean Jacket – I love jean jackets when I’m traveling (and always) because they are decently warm but still look cute over dresses and flowier outfits. Sarong – I’m going to throw this into the jacket category, even though I actually use it for everything! 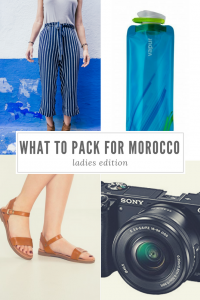 If you need to figure out what to pack for Morocco, a sarong should definitely be on the list! This is a great piece to have to cover your shoulders when entering religious sites, a scarf, a blanket on cold buses and trains! Warmer Jacket – I needed something that would be good for cooler evenings without being too heavy. I went with a green military jacket from Artizia. This is a great in-between jacket that is relatively light-weight, and awesome for layering. Down Jacket – now it is obviously going to be dependent on what month you visit, however if you are visiting in any of the colder months then you DEFINITELY need a warm jacket if you are going to be visiting the desert. I love to travel with my Nano Puff from Patagonia! It is not only super warm, but it squishes down to practically nothing (great for carry-on only packing). Many of the riads in Marrakech will have pools, so don’t forget to pack your swim gear! Bikinis are definitely appropriate, however I packed one-piece as well just in case. This is an obvious one, however you’d be surprised how easy it is to forget these guys! I’ve actually arrived in a country with only the pair of underwear on my body.. oops! 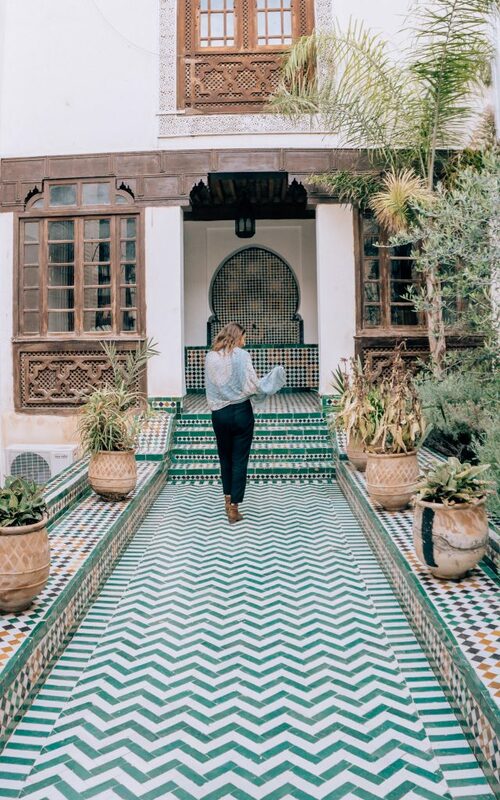 Looking for more info on what to do while in Morocco? 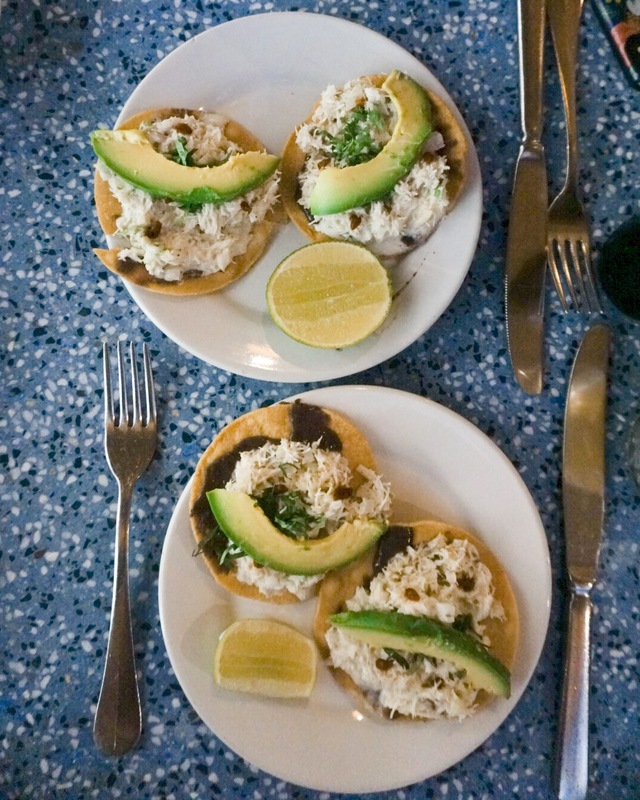 Check out my journey on TraveLibro by downloading the app here and following @tavernatravels! Don’t fall into the trap of packing too many pairs of shoes or a pair of shoes that you will only wear one time! It is super important to select just a few pairs that are comfortable, cute, and versatile. For my 12 day Morocco trip I settled on 3 pairs of shoes: Steven Madden brown booties, simple Steven Madden brown sandals, and a pair of white Converse. I am absolutely obsessed with these sandals! I have been wearing them for years and even bought a second pair after my first pair got ruined while accidentally trekking in the muddy jungle in Cambodia! They even updated them to more comfortable! White Converse are my go-to travel sneaker. While they are definitely not going to give you the support you need for a full on workout, they are great for a long day of walking while still being cute. They are also not as bulky as many other sneaker options. I wanted a shoe that would be comfortable to walk in, but also a bit cuter for more upscale restaurants or hotels on the itinerary. The booties were absolutely perfect, especially for cooler evenings. Unfortunately, the pair I was wearing is a few years old and are no longer being sold, however there are plenty of similar options available. One of the most common questions that I get asked is about the type of camera that use. 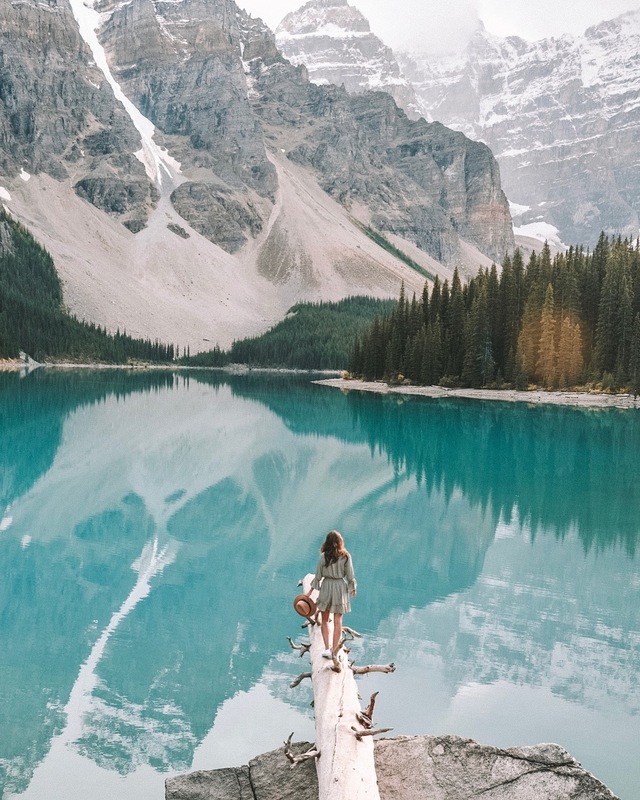 While I have an older Nikon that I like to shoot with at home, the Sony a6000 is my absolute favorite option for traveling! 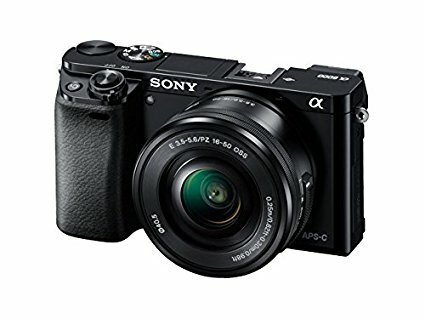 It is a mirrorless camera so it is super lightweight and easy to use! Additionally, there is a built-in WiFi feature which allows me to transfer the photos to my phone in seconds! While it is definitely not a cheap camera, it is a bit more affordable than many of the DSLR options on the market. Another thing that I absolutely LOVE about this camera is that it is a bit more discreet. Walking around the souks of Marrakech you are definitely going to stand out carrying a large camera. I find that this little guy is a bit more compact and discreet. If you have any more specific questions about the camera itself definitely shoot me an email at tavernatravels@gmail.com. 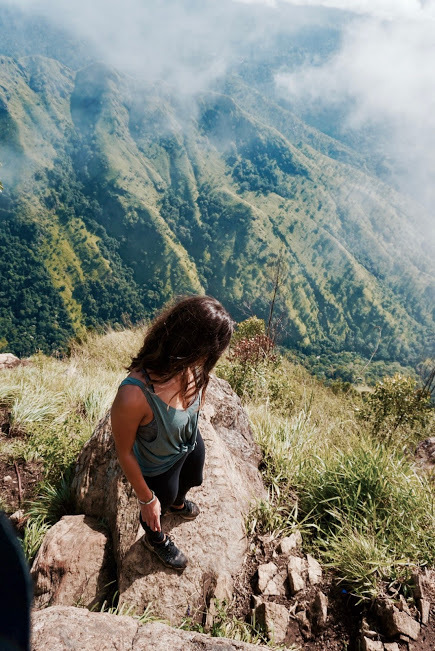 As a budget traveler, I always travel with a reusable water bottle! Many hostels offer free filtered water and it is a great way to save a little. I find that in many countries a bottle of water costs as much, or more, than a can of beer. I’ll take the free water and two cans of beer instead! I bought my first Vapur bottle when I was hiking Annapurna Base Camp (Nepal) back in 2014 and I fell in love! The bottle is 1L, BPA free, and as lightweight as it gets! It literally folds into nothing. My friends often joke that it looks like a bladder, but hey, it is the absolute BEST travel water bottle in my opinion. 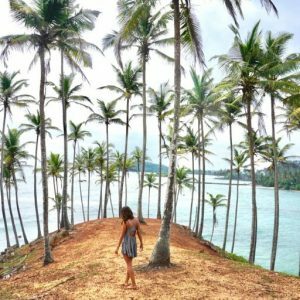 For any of my readers who typically stay in hostels, you can probably relate to the one outlet dilemma. It is not uncommon for a hostel dorm room to have a limited number of outlets available. If you are lucky you may get your own personal outlet, however is one really enough? Makes it difficult when you have a phone, laptop, camera, e-reader… etc. I love to travel with a multiple USB adapter! This allows you to charge multiple things at the same time, using only one outlet. One thing that a ton of people struggle with when packing is toiletries! As I mentioned earlier, when it was time for me to pack for Morocco I had to make sure to fit everything into a carry-on bag. I’m sure most of you know that you cannot carry onboard any liquids over 3 oz (100 ml). It wasn’t until my 5 month trip backpacking Asia in 2017 that I finally switched over to shampoo and conditioner bars. I purchased a few bars from LUSH Cosmetics and I think it’s safe to say that I fell in love and am never turning back! These bars are super easy to pack AND they last such a long time! I found that one bar typically lasts me 2 months of daily washes. I personally love the Montalbano Shampoo Bar ($10.95/bar) and the Jungle Conditioner Bar ($11.95/bar). You can find a link to their products here! I always travel with wipes! I typically carry one pack that is specifically for my face and one that is for my body. You never know when you’re going to walk into a bathroom and be stuck without anything to wipe.. a common dilemma in a place like Morocco. Best to always be prepared. I definitely resisted the whole e-reader fad for a while, however there is no denying that they are simply more convenient for traveling! I use my Kindle ALL the time, whether I am traveling or commuting locally in New York City. The Paperwhite is affordable, lightweight, and holds a charge for multiple weeks! This post may contain affiliate links, for which I receive a small commission at no additional expense to you. Your maxi dresses and jump suits are beautiful, but did you feel like they were appropriate on your own or did you have a cover over your shoulders and cleavage all the time? We visited recently and I felt like I received tons of stares even with my elbows exposed!